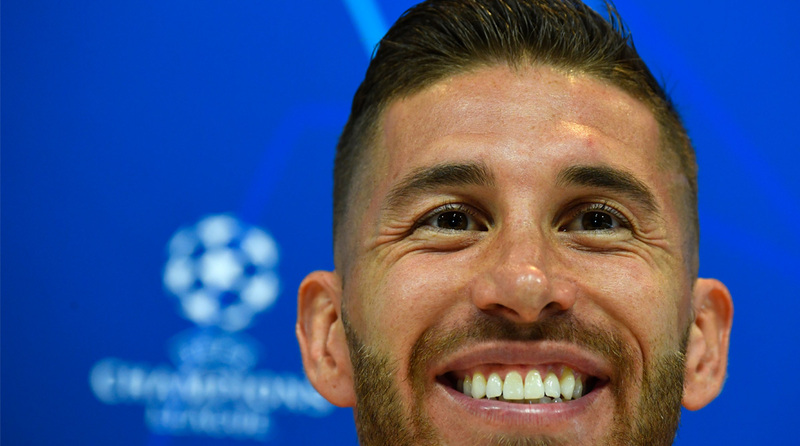 “Ignorance makes you very bold,” Ramos was quoted by ESPNFC ahead of Real Madrid’s Champions League opener against Roma. Real Madrid captain Sergio Ramos on Tuesday brushed aside Antoine Griezmann’s Ballon d’Or claims, also making light of the Atletico Madrid forward’s statement of comparing himself to Cristiano Ronaldo and Lionel Messi. “When I hear this guy talk, I think of the likes of Totti, Buffon, Maldini, Raul, Xavi, Iniesta, Iker, they have won a lot of titles at home and none of them won a Ballon d’Or. Meanwhile Real will begin their title defence without star Portugal forward Cristiano Ronaldo who left for Juventus in the summer while Zinedine Zidane, mastermind of those three triumphs, stepped down. “He marked a marvellous period for Real Madrid and he shattered practically all of the records here, but that’s in the past,” Ramos said. “We can’t live on what Cristiano did in the past. The hole he left is very big but it’s covered by others players with a lot of ambition and desire and we have a big squad to compete. We wish him the best, as always. Madrid coach Julen Lopetegui refused to confirm his first choice goalkeeper for the Champions League, after summer signing Thibaut Courtois’ arrival from Chelsea.